I am crazy about pretty things and just can't stop myself from owning them. Maybe that's the reason why I am such a shopaholic. 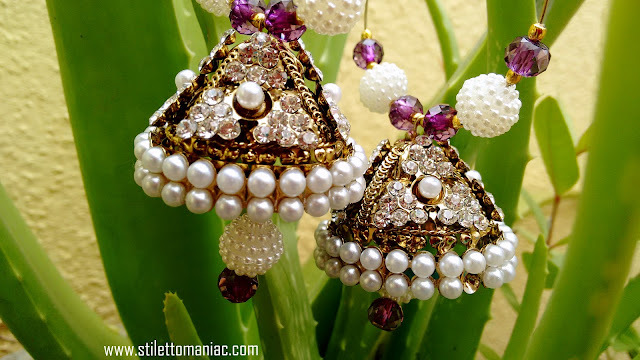 Anyways, I thought I would share one of my most treasures pieces of art with all today - Moti and crystal work Jhumkas. These jhumkas have been featured on this blog before HERE. I had gone shopping to Commercial street, Bangalore when I spotted these amazing beauties at a store close to Gujri Bazaar. I had been there to do some post-Eid shopping. We (my sisters and me) shopped for a lot of pretty jewelry that day and these Jhumkas were like icing on the top of the cake. Never keep your festive shopping(especially things like clothing) for the last minute. The rates will be sky high. ALWAYS go check your favorite stores after the festivities. You'll get everything on a discounted rate! Never forget to check out the collection at your favorite stores during the festive season. You will always find something stunning and worth investing on which won't be available during normal days. I love pearl jewellery. They look so elegant. OF POLKAS AND CORAL - This is why they say clothes make a man! 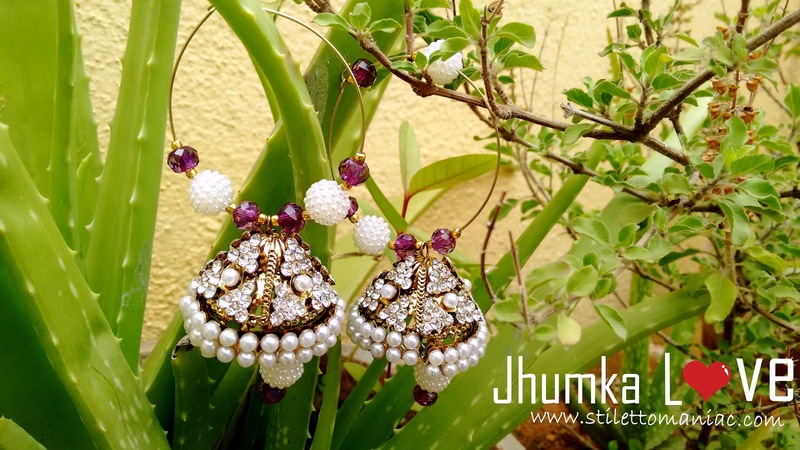 Very pretty jhumkas. 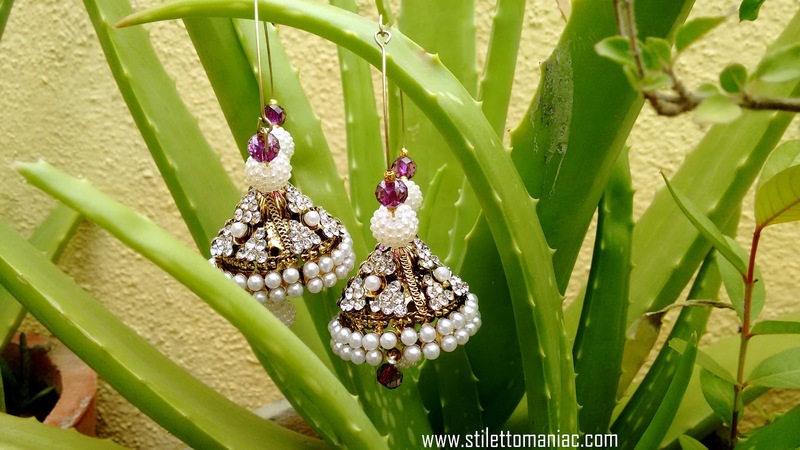 Would look lovely with Indian wear. 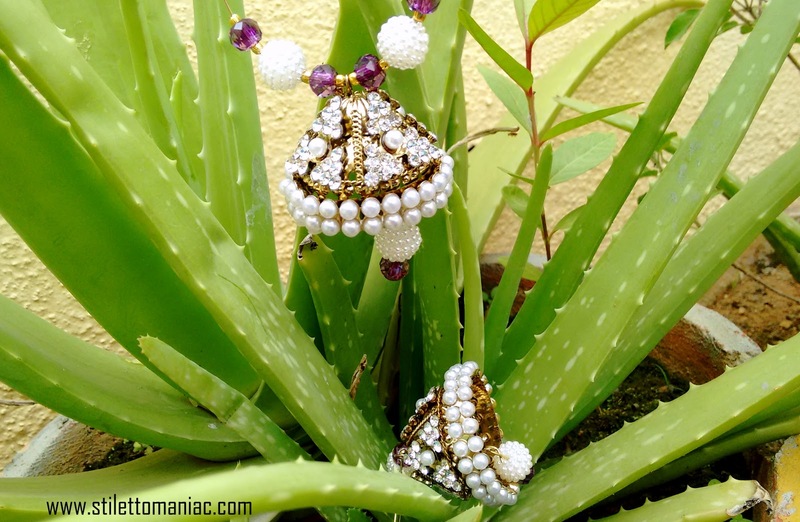 These jhumka earrings are cute and colourful. 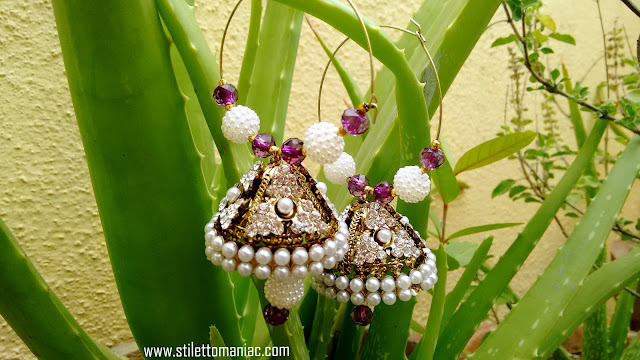 I love to make this type of different jewellery.